... large lake in the center of Myeik. Myeik, formerly known as Mergui, is the biggest town in Tanintharyi Division. “Beik” as the locals call their home inhabitants around 300.000 people. It has been a significant port town for centuries. 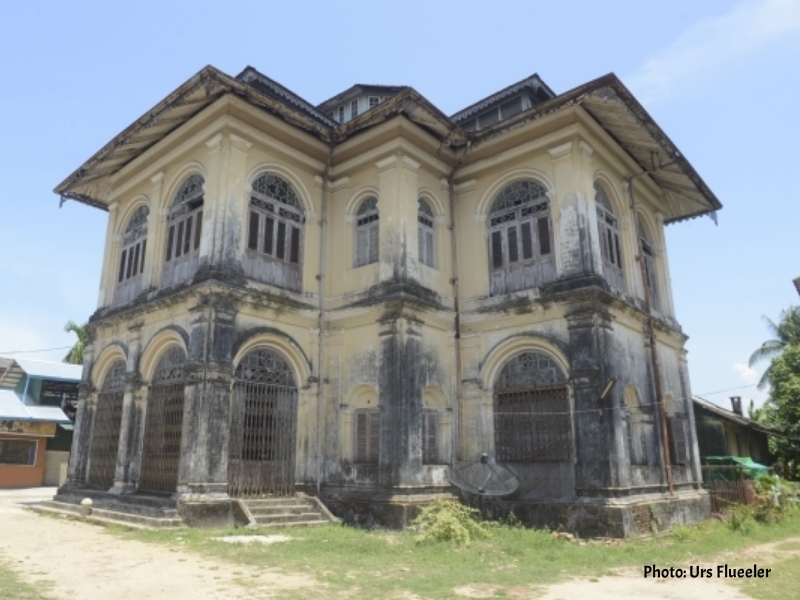 First were people for India to trade with Myeik. Portuguese traders followed later in the 16th century. The town itself was for centuries under the rule of the Kingdom of Siam (Thailand). The book “Siamese White” from Maurice Collis describes the life of an English habour master in the late 17 century in Myeik serving the King of Siam. The Burmese King Alaungpaya reconquered Myeik in the late 18th century. It has been under British rule from 1826 to 1948. Despite having no beaches Myeik is not lacking with charm. The Thein Daw Gyi Pagoda right in the middle of town offers a splendid panoramic view over the town and the islands. Walking along the streets and can be like on a farm as many goats, chicken, even cows, dogs and cats roaming around. The main attraction however will be you. Myeik has been cut off from the rest of Myanmar for very long time. Overland travel was prohibited and only possible with special permit. Locals were waiting for boats to run down the costs. The only way was flying. So be prepared for the many hellos and attempts of shaking hands. Today Myeik trades with seafood, timber and rubber. 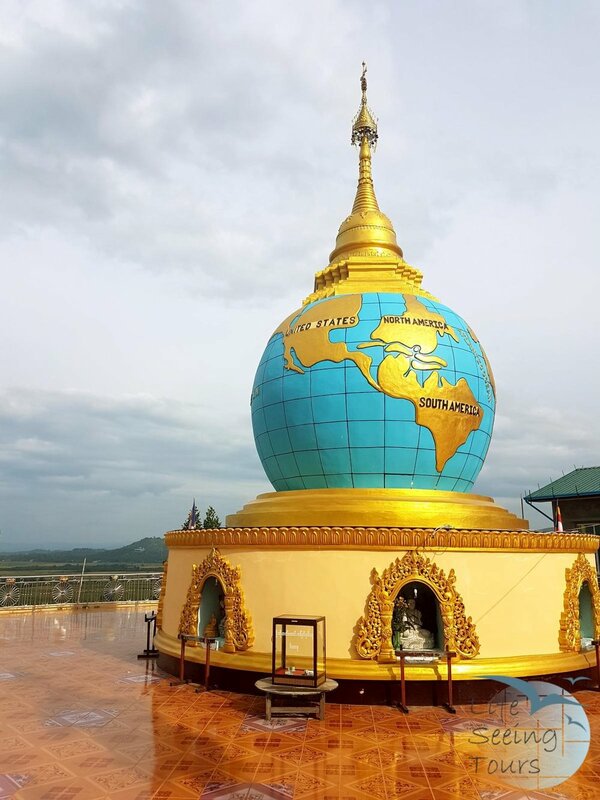 The town is also a melting pot of many nations who settled here to make a living, mainly Burmese, Muslims, Hindus and Christian. Myeik will be the further gateway to the Mergui Archipelago as the Hotels and Restaurants in town already have a certain standard. The government is trying to put infrastructure in place on Kadan Island. The Singkhorn Pass between Myanmar and Thailand (Maw Daung / Prachuap Khiri Khan) could bring more visitors in no time. It is already open for Thai people. Myeik can be reached by air from Yangon, Dawei and Kawthaung. It has road and sea connections. Life Seeing tip #1: A stroll along the busy water front, where Burmese trying to get their belonging onto ferry boats to leave for the islands will catch every visitor’s eye. Life Seeing tip #2: A must see is the ship building yard, where the boats been built like in the old days. Take the time to watch over the shoulder of the workers. It is located on the South west end of the water front. Restaurants are cleaner than street stalls. However most visitors say street food is fine to eat. All places are in walking distances for major hotels, but as taxis are cheap they can help you to find it quicker. Sky Dining Hall on the rooftop of Hotel Grand Jade, open to public, cooks Chinese and Thai cuisine with the best view on Myeik. Wine and cocktails are available all night long. Shwe Yar Su Restaurant – Chinese food restaurant with fresh seafood on display. Busy local beer station at the waterfront. Mingle with the locals. Night market on the strand road – The cheapest option offers traditional Burmese curries, snacks and dessert. Just pick what you can see. No. 1 Restaurant – Traditional Muslim / Hindu tea house with a lot of tasty curries (e.g. goat and beef) and dessert. Be aware they don’t have a menu yet and ordering could be hard. No alcoholic beverages.